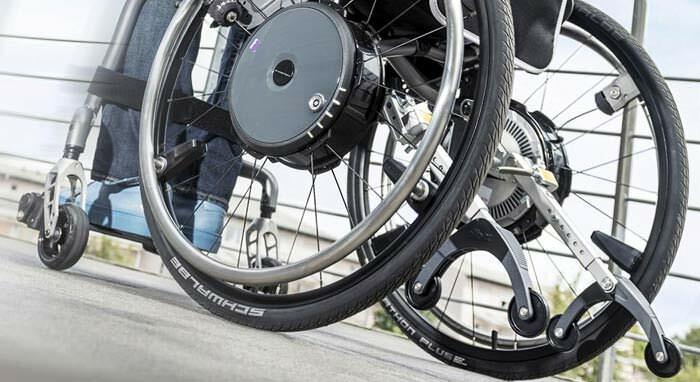 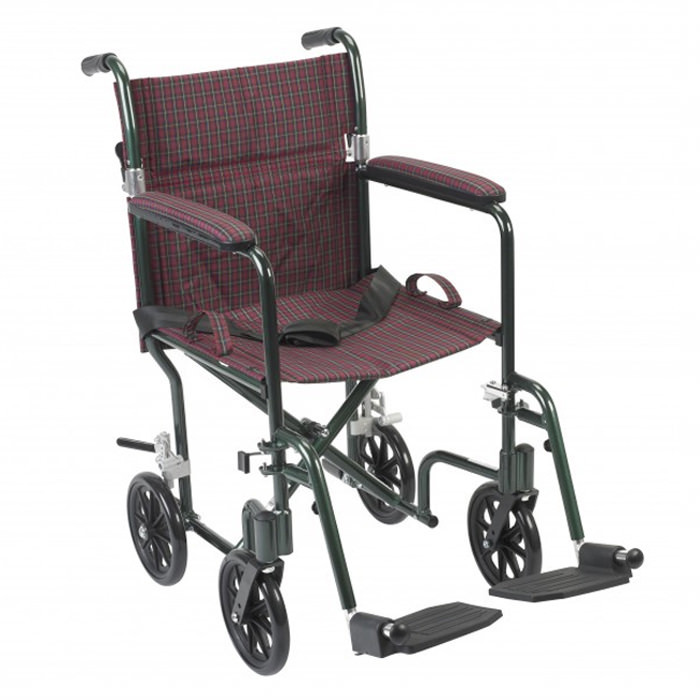 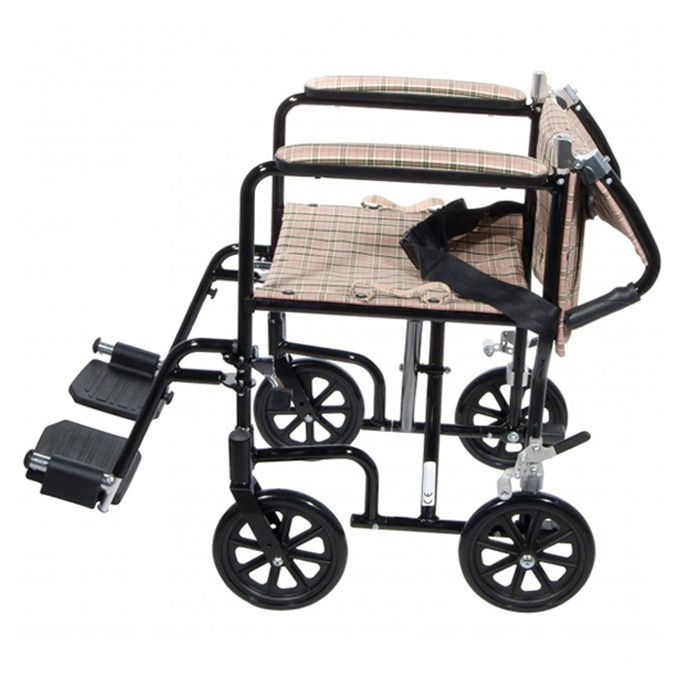 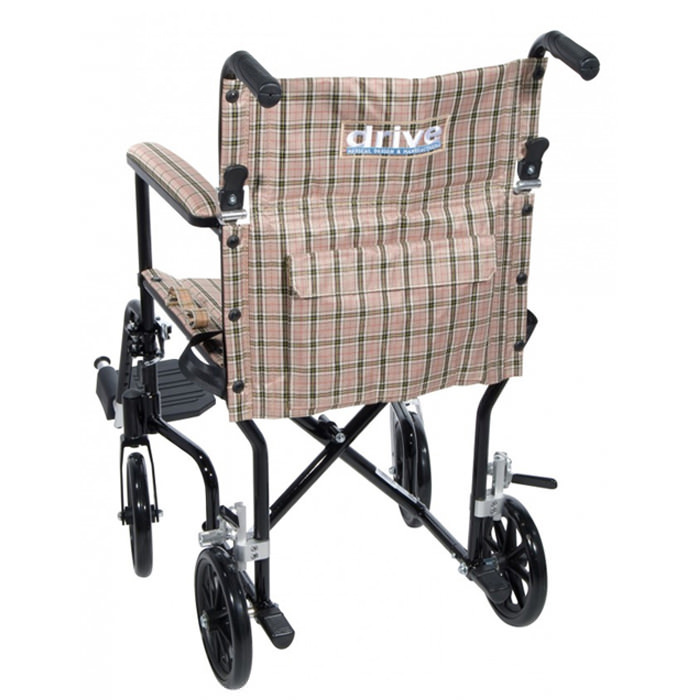 Drive Medical Deluxe fly-weight aluminum transport wheelchair has a deluxe back release that folds down the back making it easy and convenient to store and transport. 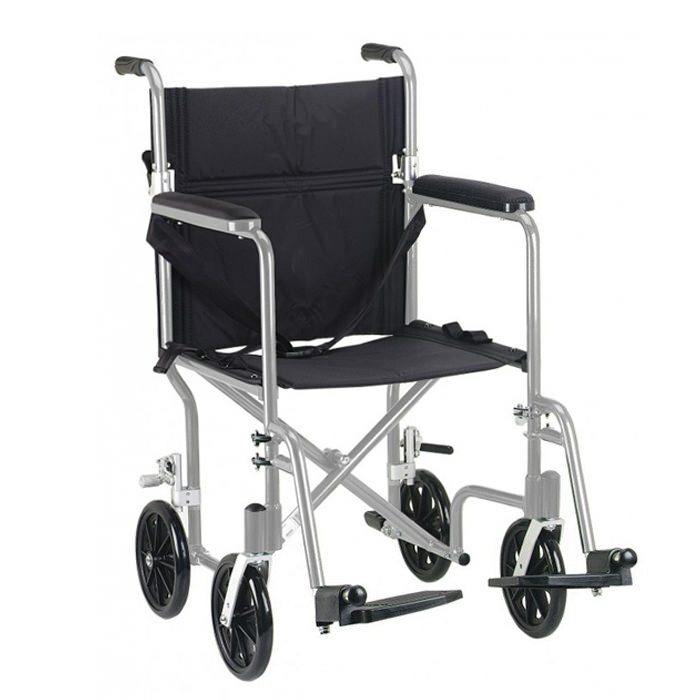 Deluxe fly-weight aluminum wheelchair comes with seat belt, aluminum rear wheel locks and carry pocket on back of seat. 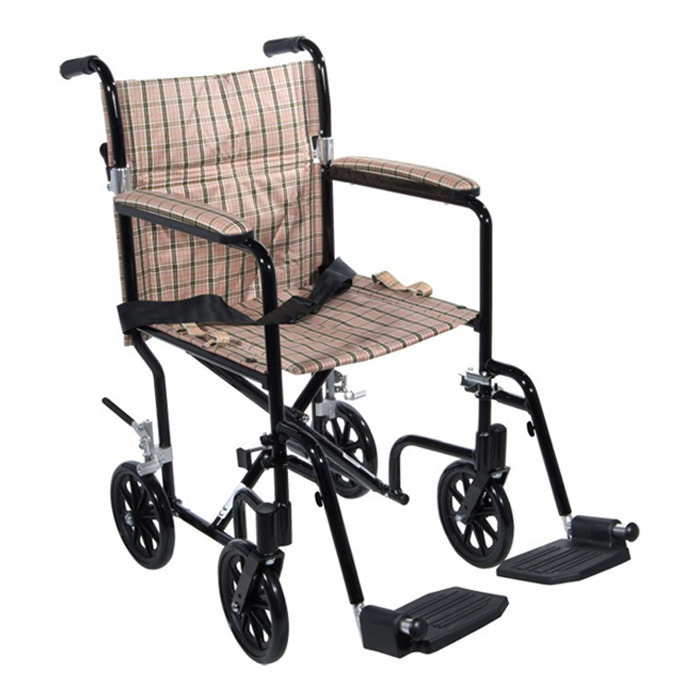 Fly-weight transport wheelchair has caster in front and rear and comes with tool free, swing-away footrests. 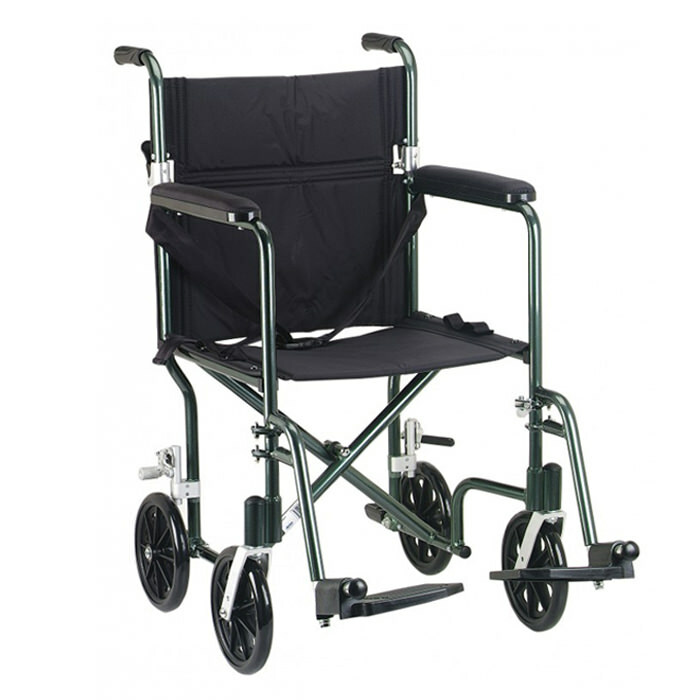 Overall width (open) 20" 22"
Overall width (closed) 9" 9"
Product weight 19 lbs. 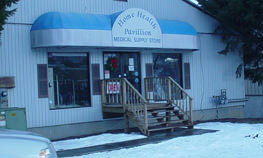 19 lbs.